Simon Williams Comic Artist: The Incredible Hulk and me. 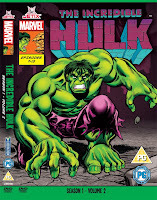 Ever since I read my first Marvel comic back in 1977, I've been a fan of the Incredible Hulk. 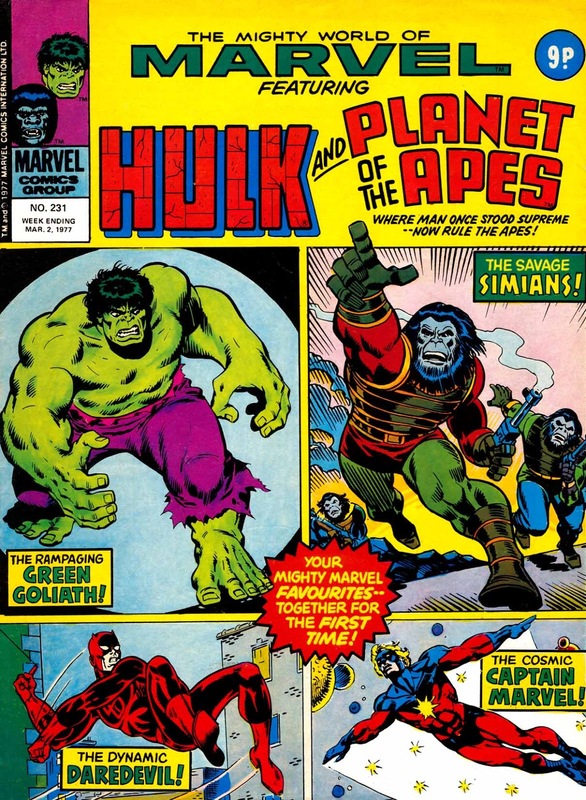 I don't know if it was Sal Buscema's awesome artwork, or the larger-than-life image of the Green Goliath (I suspect it was a little of both), but my four year old self just feel in love with the character. 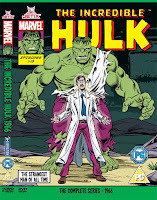 Several months later, the classic TV series starring Bill Bixby and Lou Ferrigno debuted... but I was already a fan by then, collecting Marvel UK's MIGHTY WORLD OF MARVEL every week (I can remember wondering, even at that early age if the live-action Hulk would be wearing his ripped purple trousers!). 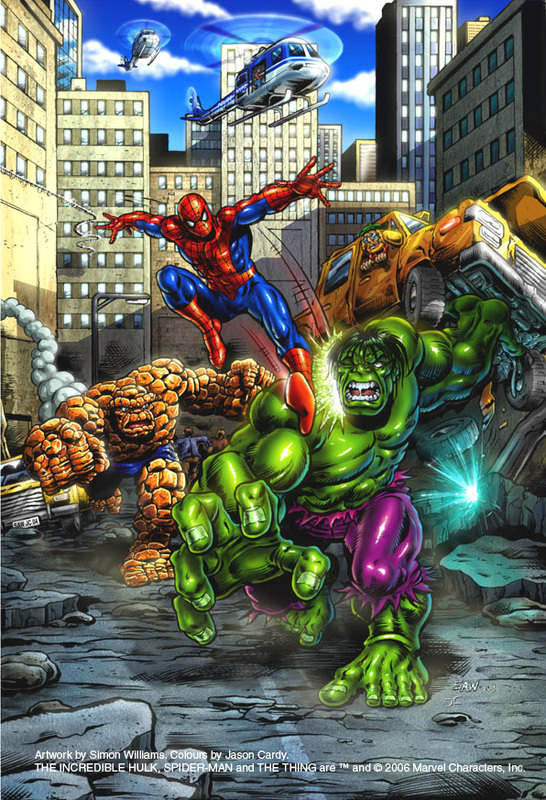 Since that very day, my life's ambition was to draw the Incredible one for Marvel Comics... something I am very, very proud to say I've been able to achieve. 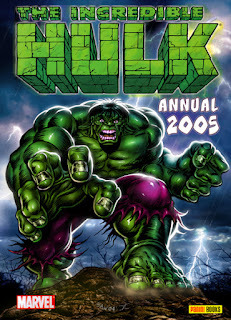 Since starting in the comics industry in 2003, I've drawn the Hulk several times -- the first time being a Hulk vs Thing battle in Panini Comic's SPECTACULAR SPIDER-MAN issue 100, and a couple of months after that a cover for the 2005 INCREDIBLE HULK Annual. From there I've gone on to draw three Incredible Hulk comic strips for the Panini/Marvel UK title MARVEL HEROES (the third of which featured the Hulk fighting another all-time favourite of mine, Death's Head -- which was another dream come true), a Hero Initiative cover for Marvel US's HULK #1 (printed in the Marvel/Hero Initiative HULK 100 Project Collection), drawn Hulk spot illos for SFX Magazine's preview feature for the 2008 INCREDIBLE HULK movie, and produced the cover and disc artwork for the entire line of UK Incredible Hulk cartoon DVD's... which include the classic 1966, 1982 and 1996 cartoon shows. 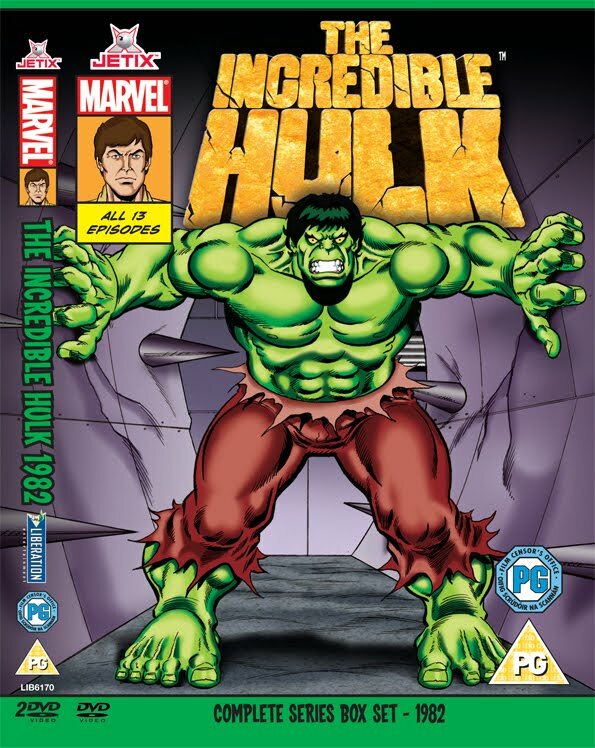 I can tell you... when I used to watch these cartoons as a kid, I never thought one day I'd be drawing the covers for the official video/DVD releases! 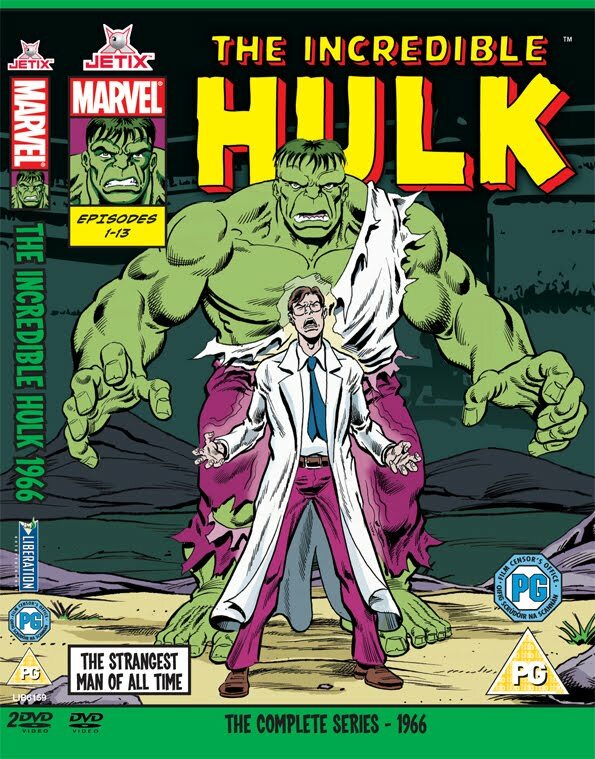 The cover to the 1966 DVD was actually used as a licensed Marvel t-shirt! 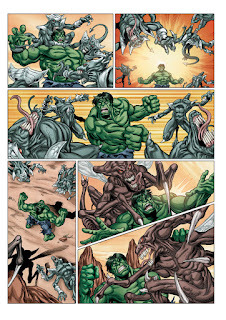 I'm very proud of everything I've accomplished so far in my career, and drawing the Hulk is my proudest accomplishment. 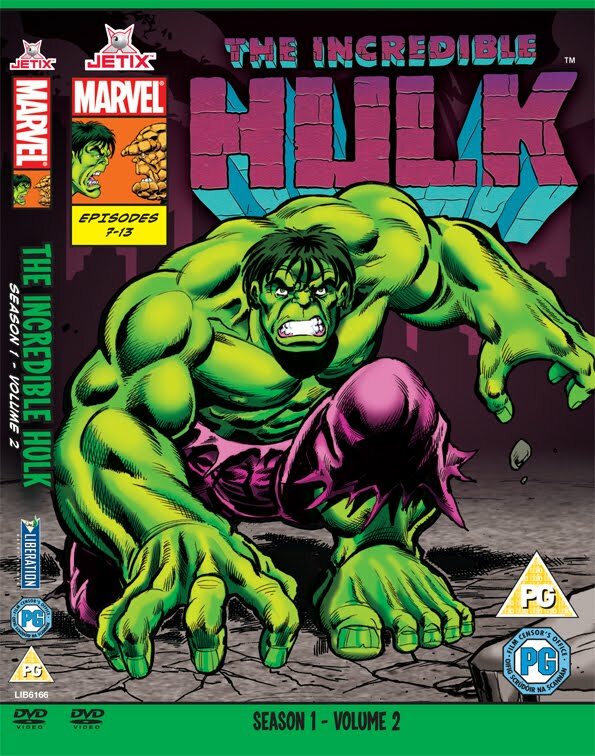 The only thing left now in regards to my Hulk aspirations is to draw the main Incredible Hulk title for Marvel US... but should that never happen, at least I can proudly say that I have achieved my life ambition. 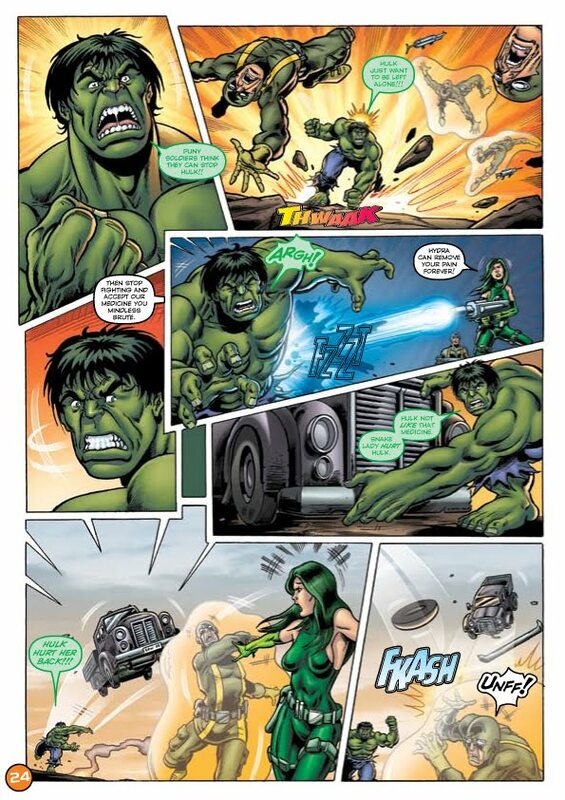 Me and the Hulk are good friends... and long may that friendship continue! 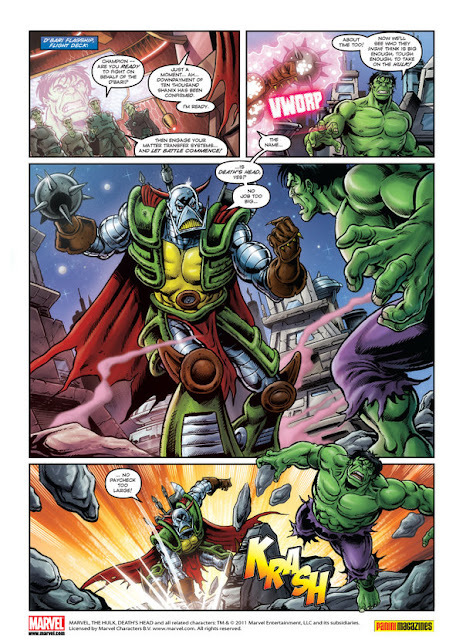 Great story Simon, and congrats! 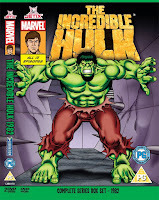 nice to see you're pages from Panini again, the DVD covers look great to, did you ink these yourself? 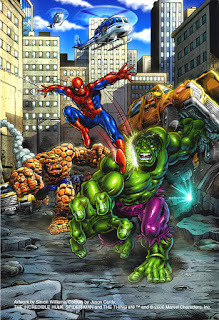 Hope all is good with you, and that you're keeping busy... hopefully we can work together again sometime soon! 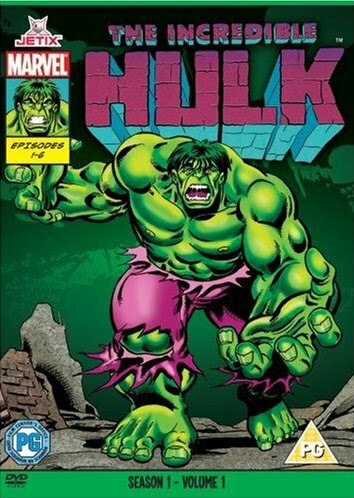 you where born to draw the Hulk show your stuff to the Marvel Adventures editor Marvel U.S and show them how to HULK SMASH!!!! Yes things are very good thanks, would love to work with you again soon! 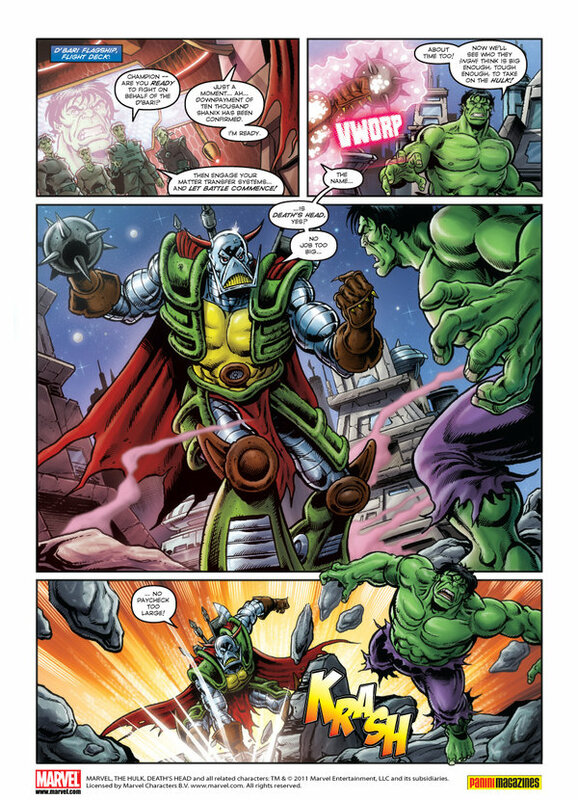 Loved the blog Simon! 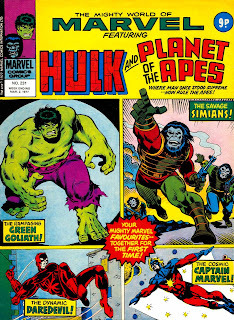 And really love your Hulk stuff. 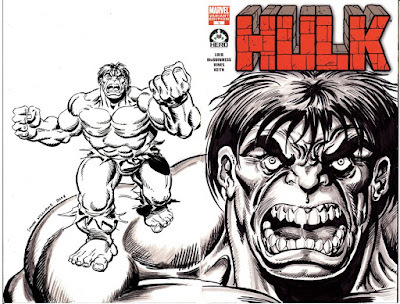 A cracking artist working on a cracking character, in my humble opinion. Jon... thanks for the very kind words. That has really made my day!